Our trip to London had a few firsts- first weekend devoted to our cameras, first trip without the ‘kids’ for a long time, first time in the brand new Citizen M Hotel. We left Wigan Station in the cold and rain – made me wish I’d put something warmer on! We were joined on the platform by Mrs Brown of Mrs Brown’s boys obviously off for some stag party fun! The journey down was comfortable and quiet – strange to be just us two but at least no fight over who had the seat that looked forward! We caught the tube to Tower Hill then came out to lovely sunshine and tried to work out where we were. Cue Chris turning around and there was our hotel – attached to the tube station! 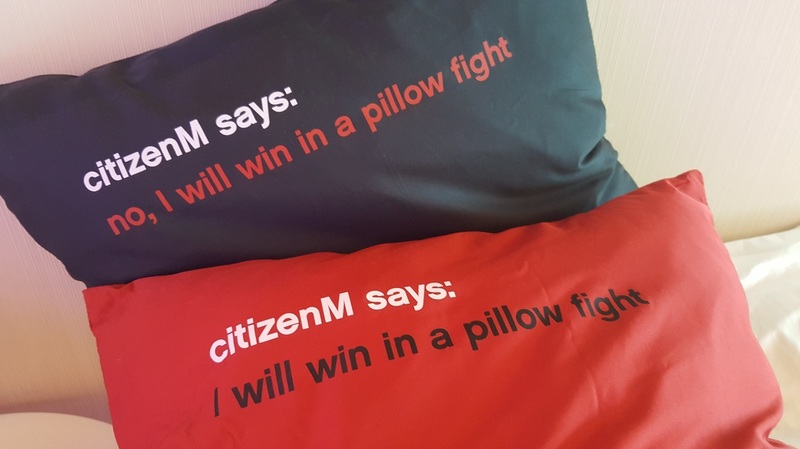 We had read all about the Citizen M brand but still not sure what to expect. Only one word sprung to mind ‘wow!’ The décor and branding inside the hotel is outstanding – quirky and British – obviously immaculate as it was brand new. Think it had only been open a week. 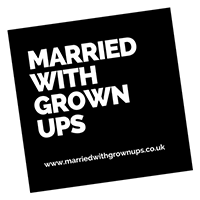 We were met by a delightful young lady – obviously new to the job and had a few teething problems trying to check us in but she was so bubbly and enthusiastic we didn’t mind at all. We were a bit early and had come just to drop our bags off but she gave us our key and sent us up to our room. 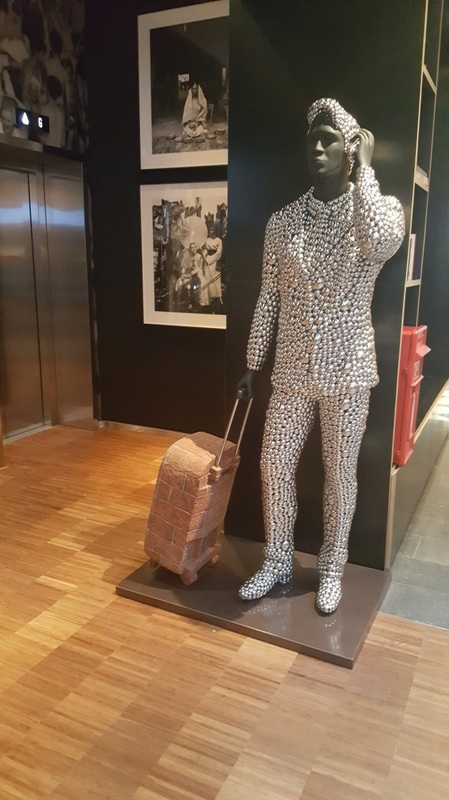 Every bit of the hotel is full of strange objects, you meet glittery men by the lift, books on every corner, it is wonderful. We knew the rooms were small – that is the whole concept – luxury on a small scale – it was perfect for us. The bed filled the window with a giant television above the bed. Everything is controlled by a mini iPad including mood lighting and temperature. As I’m sure lots of others would, we then spent 10 minutes fiddling with the lights and sound! The toilet and shower is in a ‘pod’ which sits very strangely in the middle of the room with the sink outside on the wall but you soon get used to it. It’s all very compact but lovely and we loved it instantly! The hotel offers no room service but their ‘canteen’ is open for 24 hours serving relevant meals for the time of the day. we decided to lunch in the hotel and it was delicious. Ham and cheese focaccia sandwich for me with a glass of very exciting tree water – probably cost me twice as much as a normal water but was delicious none the less. Following advice from the staff we went up to the 7th floor bar to see the view and what a view. 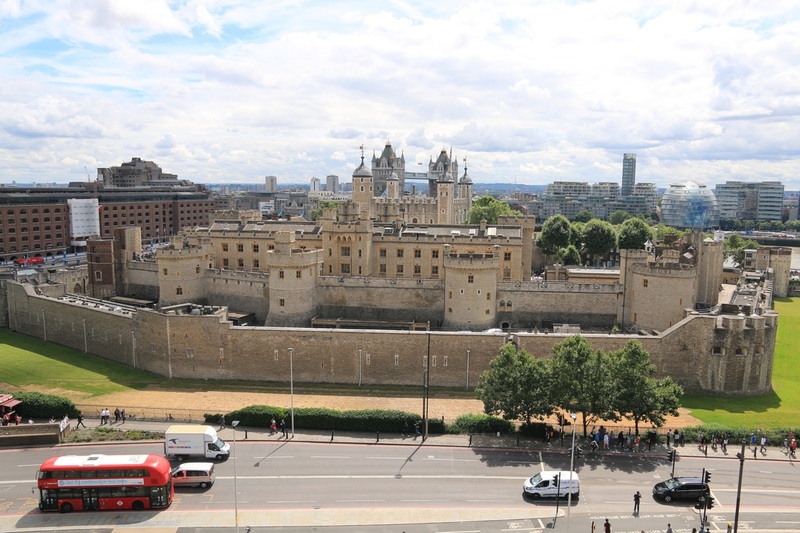 The balcony looks directly over the Tower of London (ignoring the road!) and has views of the Thames and Tower Bridge from the front. The balcony stretched around the sides with further views across London. We knew where our evenings would be spent! Our afternoon plans were to walk the Thames – naively I thought we would reach the Houses of Parliament and come back – distance and spatial awareness pretty low down my skill set! We may have achieved this if we hadn’t got so distracted. 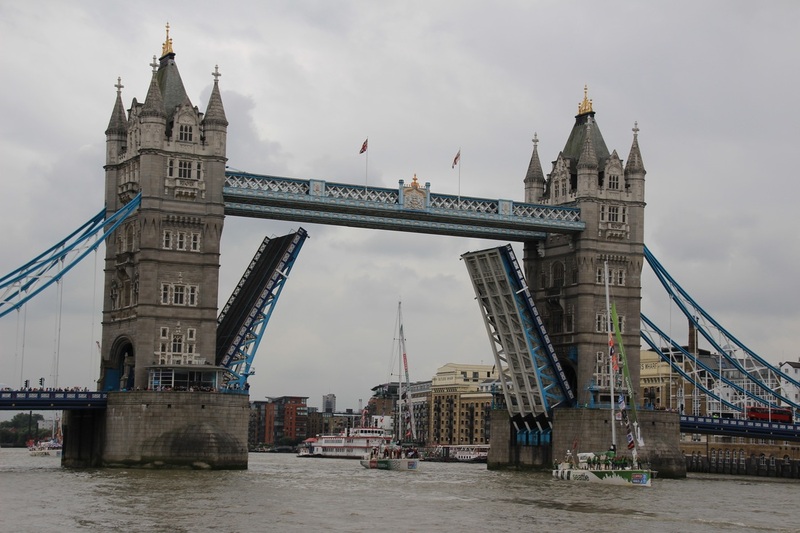 First stop Tower Bridge – no need to say anything about this building. World famous and probably photographed by millions of people. Even managed a selfie with Chris’ wonderful Canon 70d. First unplanned stop on the route the amazing Borough Market. At this point we rather wished we hadn’t eaten our hotel lunch – as lovely as it was. You are surrounded by freshly cooking food of all types and the smells are amazing. 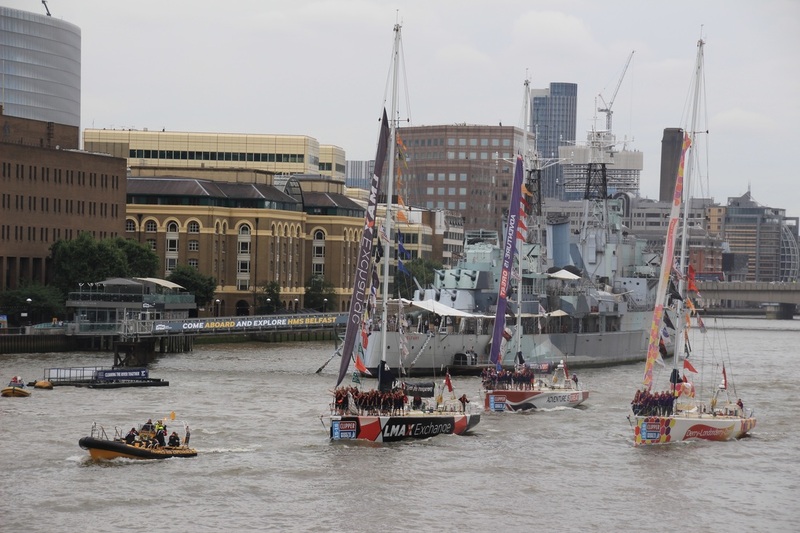 I love to walk along the South side of the Thames there is always so much going on. 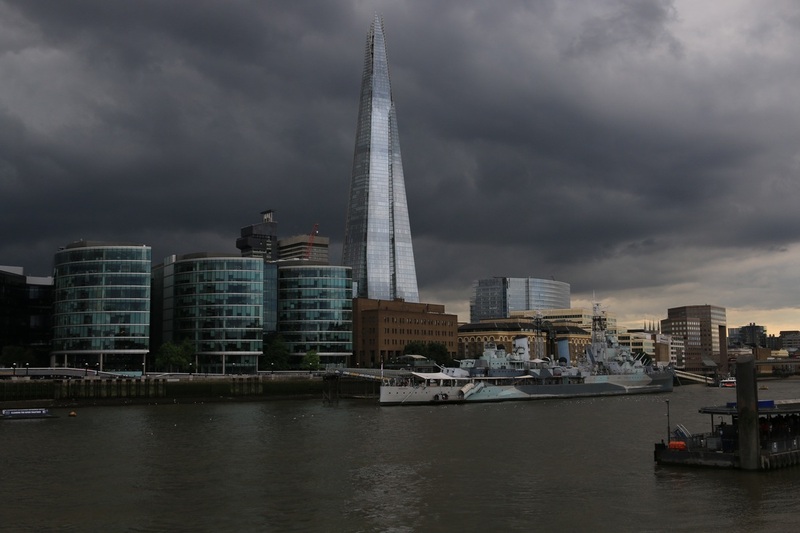 We saw HMS Belfast, the Golden Hind and multiple buildings crying out for a photo. We got as far as the Tate and then turned around to head back. We’d spotted an interesting restaurant whilst we were out so off we went to eat at Bodeans’ BBQ and enjoyed a platter of delicious meats and some Poutine (fries & cheese curds in gravy). Excellent restaurant with great service. Thought it was only a small place until we went downstairs! 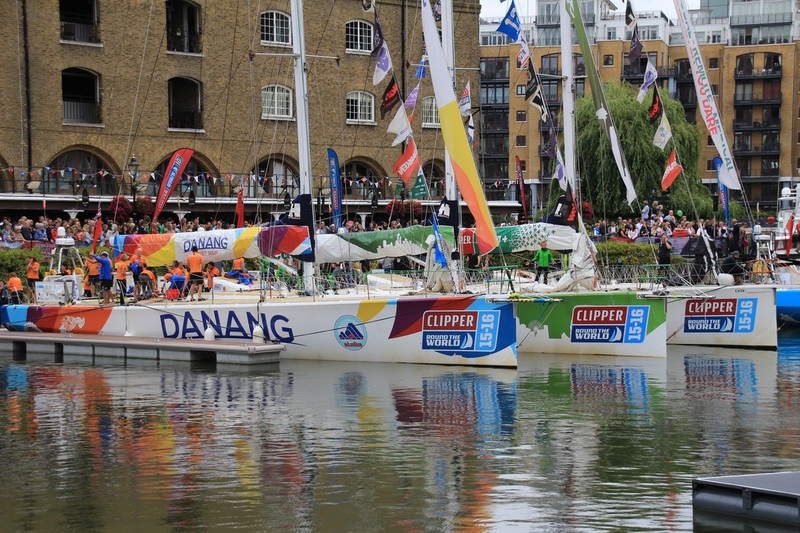 We discovered that it was the finish of the World Clipper Race the next day at St Katharine’s Docks and the bridge would be raised after a parade of ships. Too good a photo opportunity to miss so we spent our morning photographing. We both thought we got some great shots and we returned during the evening when the sun was casting some fab lighting. Photography location for the day was supposed to be Greenwich and we managed to make it there eventually. After an exciting trip on the driverless London docklands light railway we photographed the Cutty Sark from the outside and then went across to the Greenwich Naval College – excitedly for us as big Avengers fans - location of some very exciting scenes in Thor. Greenwich was great – lovely hot day and lots of fantastic photo opportunities including the park and the observatory. We didn’t pay to go into anything deciding to just ‘see the sights’. London can be a very cheap holiday with lots to see and do which cost nothing. Tea that evening was in the Tower Hill Pizza Express. Nice meal although we preferred the previous night’s BBQ! 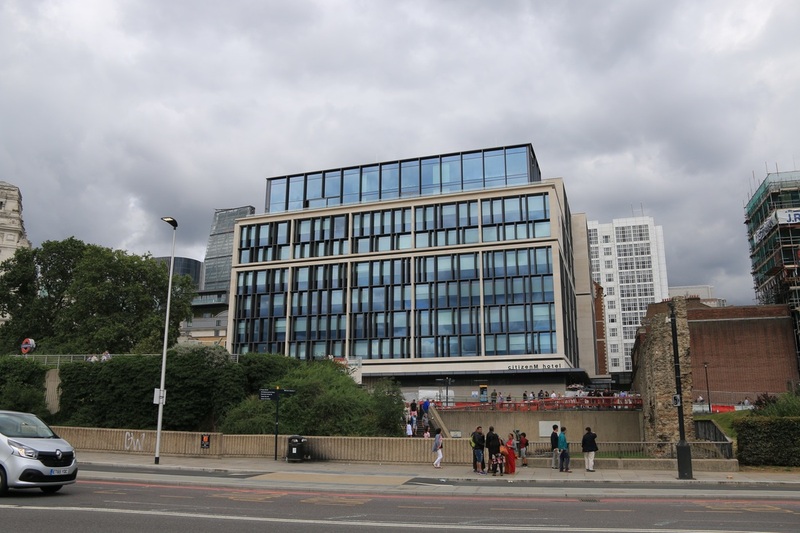 It had been a relatively cheap weekend for us – train tickets from the Virgin train sale had only cost us £40 return (total) and as Chris had become a ‘citizen’ of the Citizen M brand the hotel for two nights had only been £202. 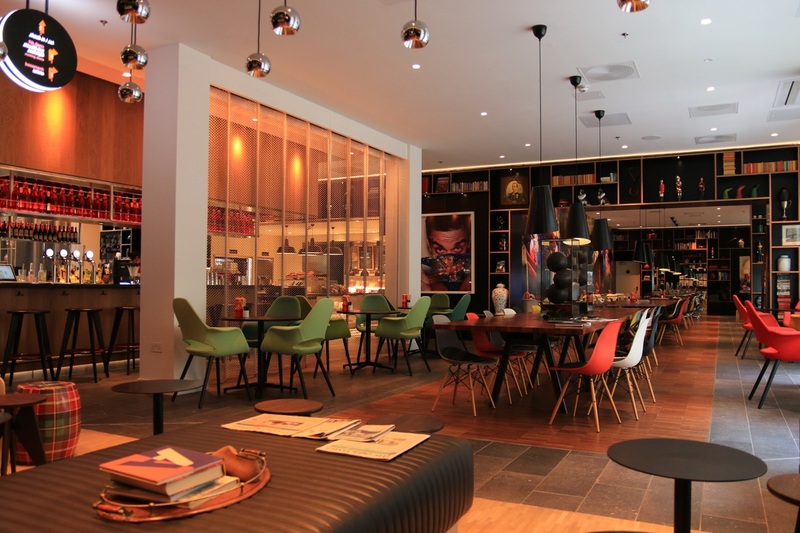 We would both highly recommend staying in the Citizen M hotel. Tower Hill is not in the centre of London but it is attached to the tube on the Circle line so getting about is easy. We both thought it was worth being a bit further out to gain such amazing views. I can’t wait to visit again and see the Tower of London view in the dark. They have put a lot of effort into branding and theming the hotel, the food is excellent and we liked the whole concept of the 24-hour canteen. The staff were friendly, enthusiastic and helpful and we felt very welcome as soon as we arrived. Overall we had great fun and came back with lots of photos for us to sort through. The clippers were a very welcome bonus – as with lots of things in our lives that was quite accidental but an amazing experience. 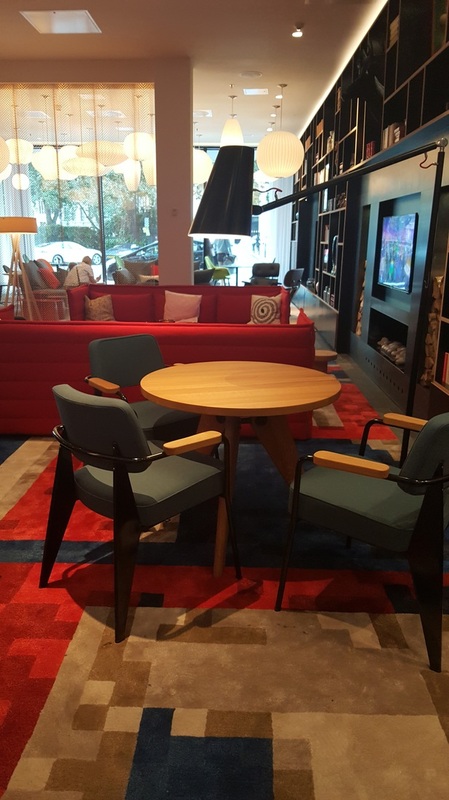 We would definitely stay with Citizen M again - we felt very at home in the quirky themed hotel but my biggest concern was - who does all their dusting?